It was a family affair for Ryan Reynolds on Thursday. The Deadpool actor was celebrating the unveiling of his star on the Hollywood Walk of Fame, but the crowd was in for an even better treat. Reynolds and Blake Lively's daughters made their first public appearance! The golden-haired tots almost stole their father's moment as he jokingly thanked them and their mother for making him "the father of my dreams when I thought I only had fun uncle potential." Two-year-old James and her little sister What's Her Name — (no really, what is her name?) playfully frolicked around their father's shining star on Hollywood Boulevard. Curly-haired cutie pie James even grabbed the mic from her old man. Obviously, she is ready for her close up. The blue-eyed baby, who sported a navy blue, dinosaur-themed varsity jacket, blue leggings, and grey, high-top Converse sneakers, was the spitting image of her gorgeous mother who also wore blue — but opted for a floor-length gown. For fans of Lively and Reynolds, seeing their kids out and about in public is huge. Despite welcoming their second daughter in September, the Green Lantern co-stars had managed to keep both children's faces hidden from the world. Maybe Reynolds loved his superhero roles so much that he wanted his girls to have a secret identity too? It took the couple four months to reveal Baby James' name to the world. Perhaps they have a rule about that? If so, their time is just about up when it comes to their newest daughter's name. Spill the beans, Deadpool! Regardless, Lively and Reynolds couldn't have chosen a better day to give the world a peek of their precious girls. In addition to making fans happy by bringing along the kids, Reynolds also gave a heartfelt speech. According to People magazine, Lively's loving husband said, "I want to thank my wife, Blake, who is sitting right there who is everything to me. You are the best thing that has ever happened to me. You make everything better. You make everything in my life better." The Golden Globes are right around the corner and I highly doubt the little Reynolds girls are set to make their red carpet debut quite yet. 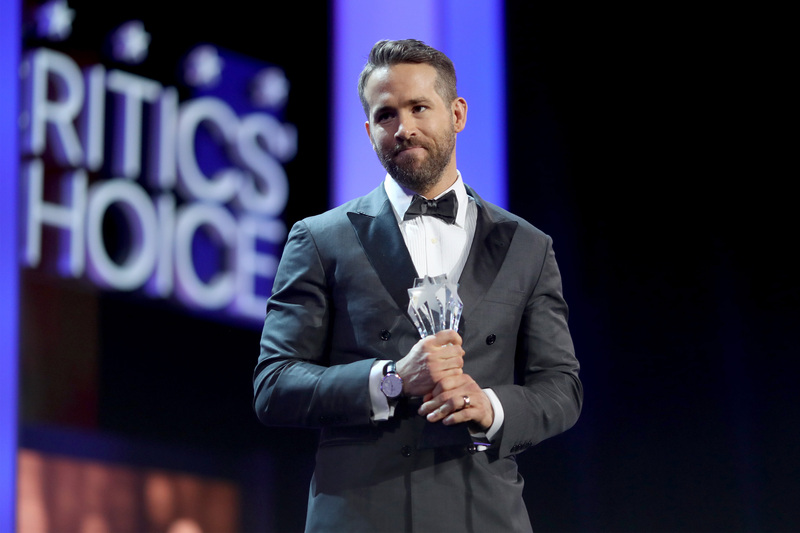 But, if Reynolds wins Best Actor in a Motion Picture, Musial or Comedy for Deadpool, surely James and Baby Reynolds will pop up in his acceptance speech.